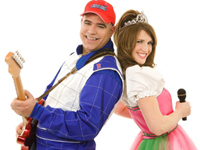 Hire an amazing entertainer to make your child’s special day unforgettable. We’ve found the best birthday party entertainers in MA, including balloon twisters, clowns, magicians and more. You can also find party entertainers in Massachusetts by visiting KidsParties.Party. 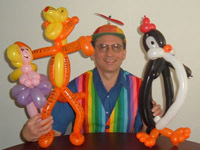 Make your child's birthday even more special by hiring one of the best balloon twisters in MA. Let them entertain everyone with the awesome balloon creations they can design. These Massachusetts balloon twisters will provide great entertainment. Find the best party entertainers that are located in Massachusetts. In this guide you'll find MA's best party entertainers. Everyone will have so much fun at your next event. These may not be the real celebrities but everyone will think that they are. A Massachusetts celebrity look alike is the perfect addition to your party. This guide has some of the funniest children's comedians in Massachusetts. If you and your kids want a good time filled with laughter, you have come to the right place. 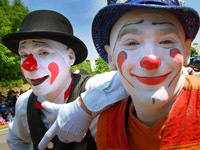 Find the funniest and most entertaining clowns in MA in this list! Everyone will be entertained for hours when you have a Massachusetts clown at your child's next birthday party! It doesn't matter what shows and movies your kids are interested in, you can now bring their favorite characters to their birthday party. 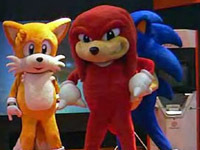 The costume characters that you can find in MA are all listed right here. Make this the best birthday party ever! 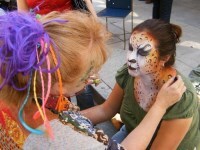 Find the best and most professional face painters in MA using our guide. 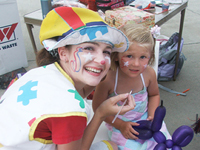 These MA face painters are professionally trained and cater their designs to any event. Look through our guide to the best Massachusetts kids magicians and find the entertainment for your child's birthday party that you have been looking for. 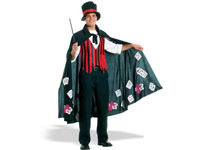 You cannot go wrong when you hire one of these magicians. Check out this guide to the best musical entertainers in Massachusetts. This is a sure way to make the guests at your party want to get up and dance all day long! Use our list to find the most beautiful and enchanting princess entertainers in Massachusetts. 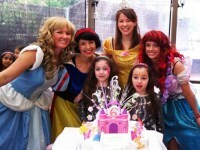 Book your child's favorite princess for their next special event. 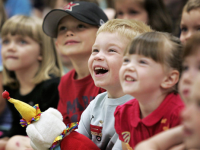 Check out this guide and discover some amazing Massachusetts puppet shows that your kids will absolutely love. Contact one today and see the show of a lifetime. 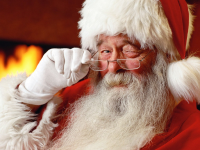 See here an all-inclusive guide to Santa Claus for hire MA entertainers. You will find all of the top entertainers for your upcoming holiday party! Throw an unforgettable holiday party with a professional Santa Claus MA! 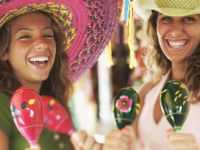 Are you having trouble finding Spanish speaking entertainers in MA? Well your search can end here! We have comprised a list of all the top Spanish speaking entertainers MA has to offer! Use our complete guide to find the best stilt walkers that can be found in Massachusetts. 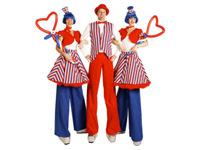 When you hire an MA stilt walker to entertain at your next event you won't be disappointed! Do you feel like clown and magician entertainers are over done? Then do something different - hire a unique entertainer MA! 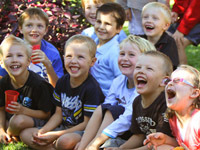 You can find here all the most fun and unique kid's party entertainers in MA. 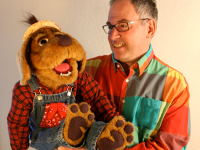 Your search for a great ventriloquist in MA for your child's next birthday party can come to an end! 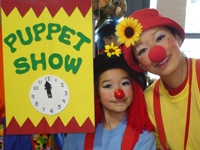 Simply browse through this comprehensive list of ventriloquists in MA to find the perfect on for your party!